Chatman’s recommended retail price is $69.95-$74.95. 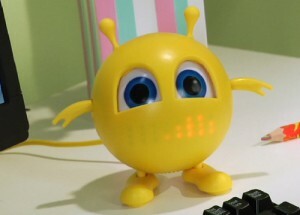 Chatman is available at toysrus.com, bestbuy.com, HSN.com and target.com. Through a special Spring Break promotion, toysrus.com is offering special pricing on Chatman for a limited time, through mid-April of $49.99. Get yours now at a lower price! Look out for my upcoming review and giveaway! Disclaimer: This is not a compensated post. I will however, be receiving product to review soon including a giveaway for our readers!